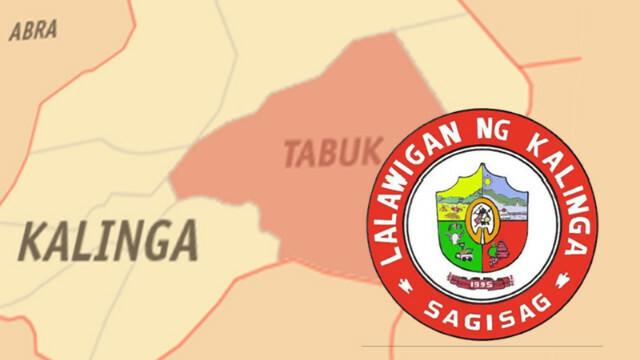 TABUK CITY, Kalinga – A municipal mayor and two of his department heads were ordered suspended by the Office of the Ombudsman for one year without pay after finding them guilty of simple misconduct and conduct prejudicial to the best interest of service. In a 20-page decision approved by retired Ombudsman Conchita Carpio-Moralles on June 26, 2018, Rizal Mayor Marcelo dela Cruz, Jr. municipal budget officer Delia Damasco Jacob and municipal accountant Rodelia Baquiran Busacay were also meted the accessory penalties pursuant to Sections 46(b)(8) and 45(d)(2), Rule 10, in relation to Section 49(a) and 50 of the Revised Rules on administrative cases in the Civil Service and Section 10, Rule 3, Administrative Order No. 07 as amended by AO No. 17 in relation to Section 25 of Republic Act 6770. The decision stated that in the event that the ruling cannot be enforced due to their separation from service, the penalty shall be converted into a fine in an amount equivalent to their salary for six months payable to the Ombudsman and may be deductible for their retirement benefits, accrued leave credits or any receivables from their office. The Ombudsman directed the Secretary of the Department of the Interior and Local Government (DILG) to implement the decision immediately upon receipt pursuant to Rule 3, Section 7 of AO No. 7. As amended by other rules and regulations. On the other hand, the complaint for grave misconduct, conduct prejudicial to the best interest of service, dishonesty and grave abuse of authority against Vice Mayor Renato C. Vicente and municipal councillors Cheradee A. Beligan, Samuel C. Valdez, Pablo C. Cadang, Benjamin R. Barroga and Reynaldo B. Cauresma engineering assistant Noel Jambaro, municipal treasurer Nancy Vicente Revocal, municipal planning and development coordinator Cynthia Agustin Vicente and municipal engineer and bid and awards committee chairman Aurora Cudal Cuaresma were dismissed for lack of substantial evidence. The decision stated there is substantial evidence to hold dela Cruz, Jacob and Busacay liable for simple misconduct and conduct prejudicial to the best interest of the service, however, no substantial evidence exists to hold them liable for grave abuse of authority and dishonesty. It can be recalled that the Rizal municipal council approved Resolution No. 2015-127 which resolved to revert the unexpended balances of appropriations from the 2015 annual budget to the unappropriated surplus of the general fund in the amount of P14.5 million and authorized its utilization for the rehabilitation of various barangay streets and farm to market roads on December 7, 2015. On November 14, 2016, the Cordillera office of the Commission on Audit (COA-CAR) issued Audits Observation Memorandum (AOM) No. Rizal 101-2016-008 which found that the funding and awarding of five infrastructure projects pursuant to Resolution No. 2015-127 were not valid and legal because the guidelines on the changes and reversion of annual budget were not followed. Further, the COA-CAR found that the resolution was passed without any certification from the local finance committee on the details of the utilized appropriation; the manner by which the unexpended balances of appropriation was re-appropriated was not valid because it was passed through a resolution and not by an ordinance; the infrastructure projects authorized and funded by the resolution were not supported by a supplemental nor an amended annual investment plan; and based on their records, the municipality deliberately did not request for inspection of the completed infrastructure projects despite the fact that almost all of which were gravelling, which should have been subject to inspection before spreading out to assess actual existence of aggregates. In response to the AOM, the Rizal municipal government submitted several documents as their defense but after evaluating the same, the COA-CAR maintained its position that the re-appropriation of P14.5 million was unauthorized and all disbursements charged were disallowed in audit. The complainants in the case were Frank P. Wad-asen, Rogelio Lawad, Ponz Anthony Orodio and Robert Echalar who asserted that the public officials misappropriated the public funds and that they have personally visited some of the project locations and saw no indication that the infrastructure projects were implemented. Moreover, the public officials were said to have violated Section 3 of Republic Act 3019 or the Anti-Graft and Corrupt Practices Act by passing a mere resolution and not an appropriation ordinance, to revert the unexpended balances of the appropriations of the 2015 annual budget to the general fund which in turn led to the funding of the five infrastructure projects and the subsequent illegal disbursement and use of public funds. The complainants claimed that the public officers refused to grant their request for documents pertaining to the five infrastructure projects violating their constitutional right to information on matters of public concern. In their joint affidavit, the public officers argued that the complaint against them was filed because Wad-asen Echalar and Orodio who were found guilty of grave misconduct and serious dishonesty in an administrative case filed by dela Cruz have acts to grind against them; although the COA-CAR ultimately found the disbursements for the infrastructure projects unauthorized, such finding is not yet final and still subject to review; the reason why an appropriation was not passed in the case is because the 2015 annual budget of the municipality was not yet passed; without the enactment of the annual budget, neither can a supplemental budget nor an appropriation ordinance therefore be enacted and the assailed resolution is already a sufficient authorization for the questioned disbursement. The decision asserted that dela Cruz, Jacob and Busacay clearly transgressed the guidelines set forth in Article 322 and 344 of RA 7160 considering that being the municipality’s accountable officers at the time, it is but reasonable to expect that they have knowledge of the procedure on appropriations and allotments which is part of their shared responsibility. According to the decision, the act of dela Cruz, Busacay and Jacob can only be considered as unlawful or at the very least grossly negligent in the discharge of their duties and obligations as public officers., thus, warranting administrative sanctions. However, such sanctions should only be for simple and grave misconduct as there is no showing that the elements of corruption are present or that there was wilful intent to violate the law or flagrant disregard of established rules on the part of the public officers. The decision claimed that such misconduct on their part tends to tarnish the image and integrity of their office, thus, administrative sanctions for conduct prejudicial to the best interest of the serve is warranted in the case. The decision defined that simple misconduct carries a penalty of suspension of one month and one day to six months for the first offense and conduct prejudicial to the best interest is penalized with a suspension of six months and one day to one year suspension for the first offense. Earlier, dela Cruz was also suspended for a similar case of misconduct for a period of three months for allegedly disbursing public funds to pay the cash gift and incentives to casual employees and barangay officials of the municipality without passing through the passage of an appropriation ordinance.